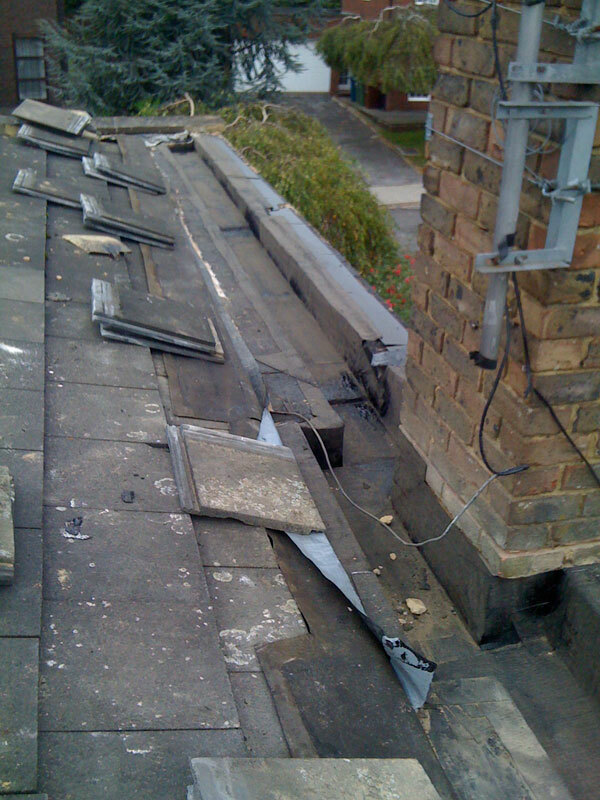 Box gutters are notorious for leaking as they handle large quantities of rainwater. 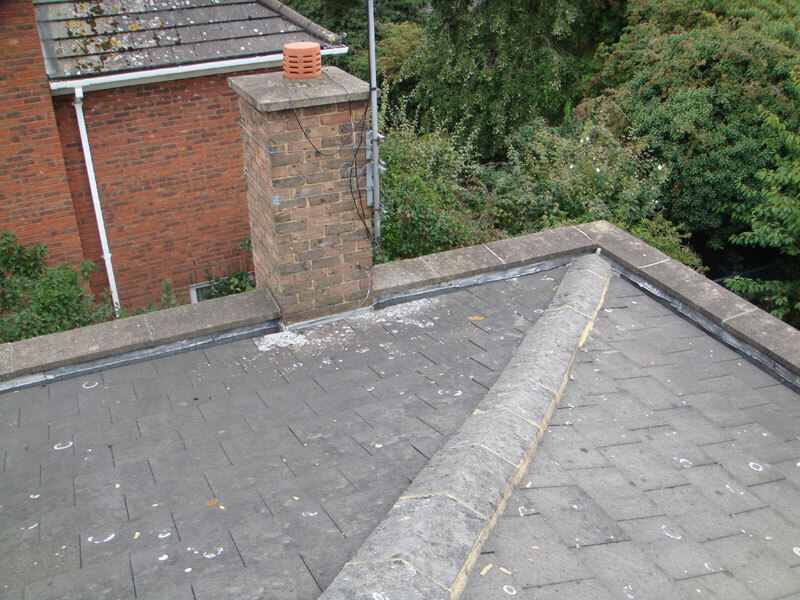 In this case the box gutter collects rainwater from the pitched roof above and transfer the rainwater to 2 outlets. 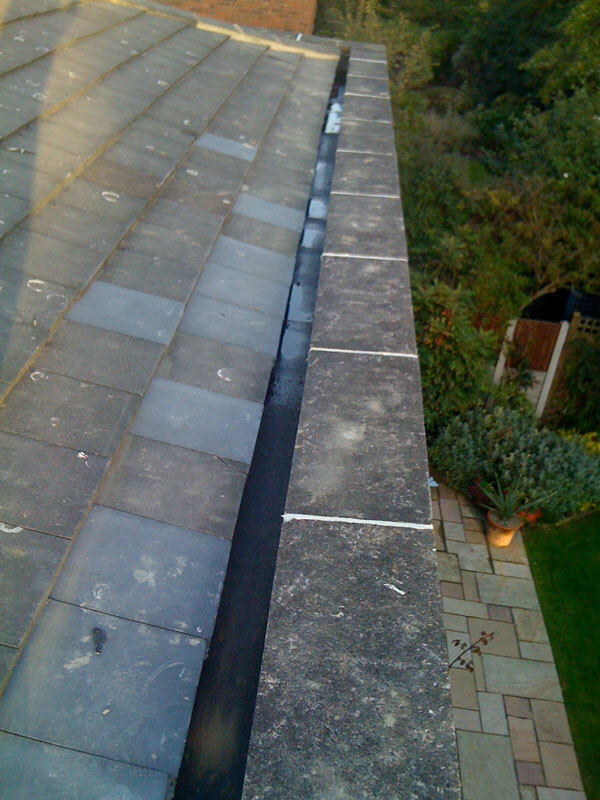 Rainwater is unforgiving and if there is a fault or failure in the box gutter weatherproofing rainwater will exploit this. 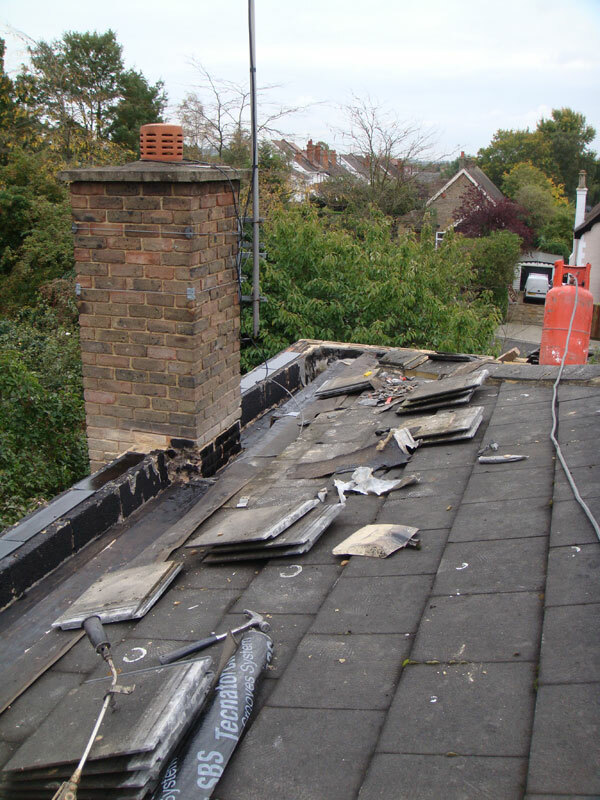 Because the box gutter is within the boundaries of the building it will gain access into the property manifesting itself as a roof leak. 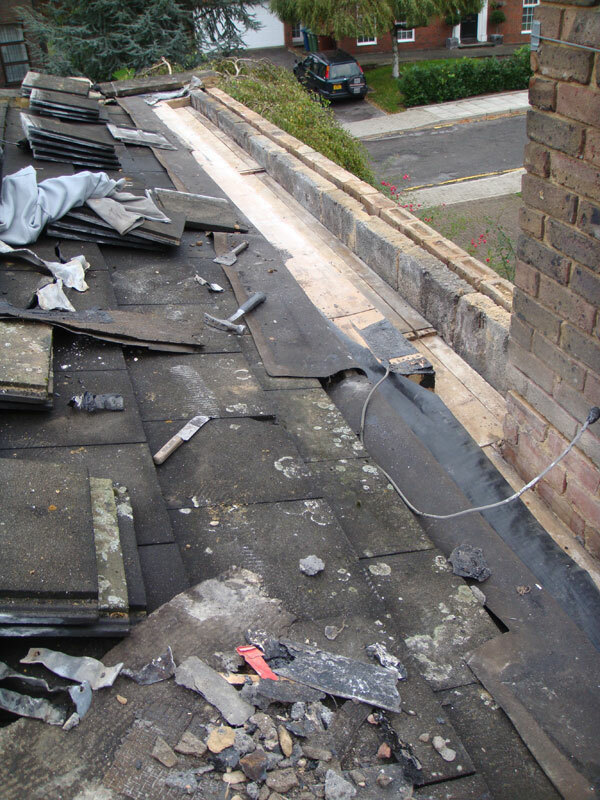 In our experience most box gutters leak due to poor installation or specification of the box gutter weatherproofing. 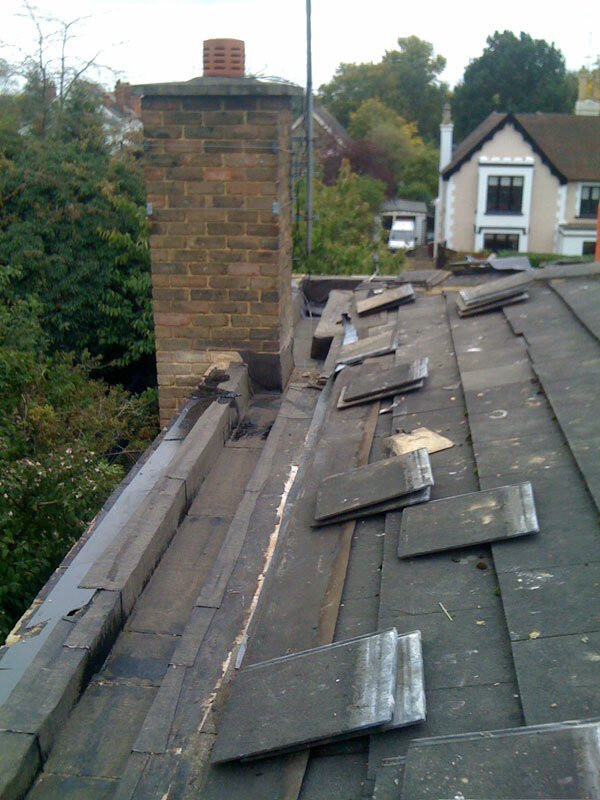 In this case the box gutter was constructed with lead. Lead is available in various thickness, Code 3 being the thinest and Code 9 being the thickest. If the lead is too thin there is not enough material for the lead to expand and contract during period of hot and cold and this causes the lead to crack. Obviously once the lead has cracked rainwater running over the crack will drip though into the building. 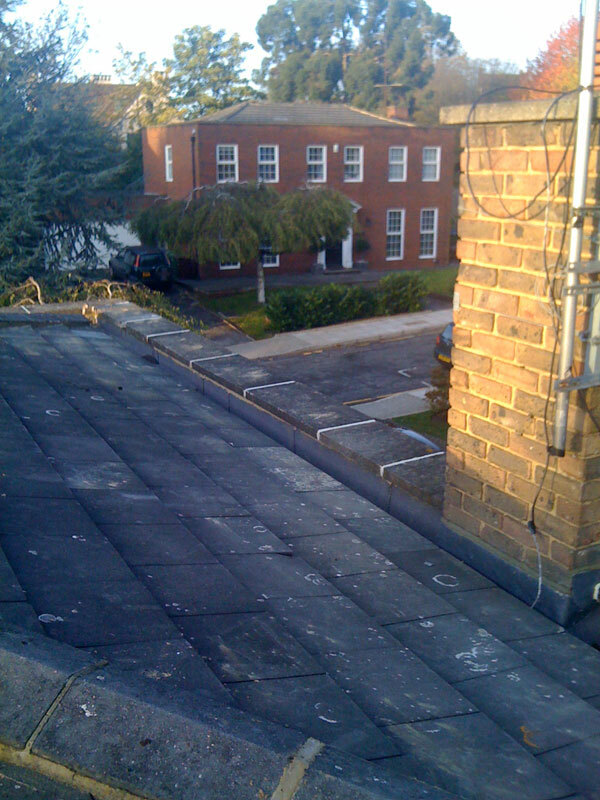 Our client was looking for a long term solution as rainwater had been leaking to the property on and off for many years. 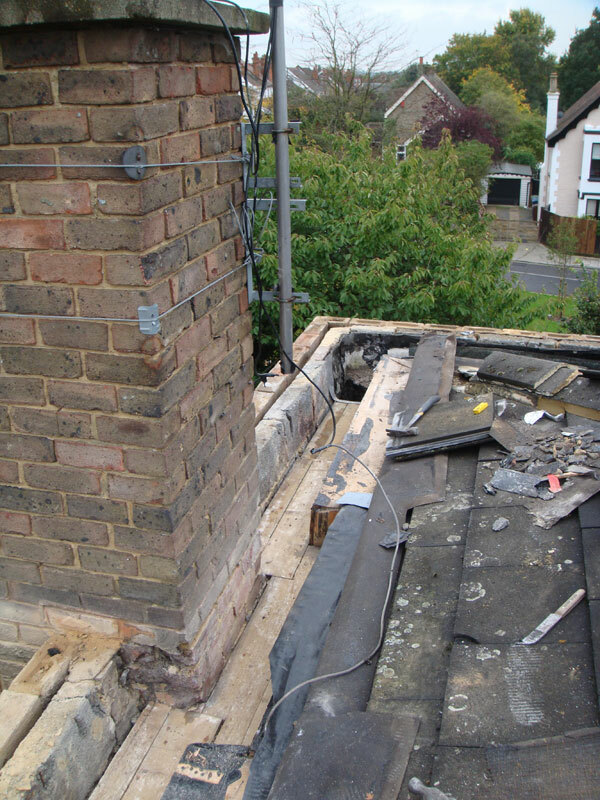 We have learnt that you must strip the box gutter to the supporting decking, fully bond the new weatherproofing to the supporting deck and extend the lining under both the pitched roof and the parapet wall coping stones. 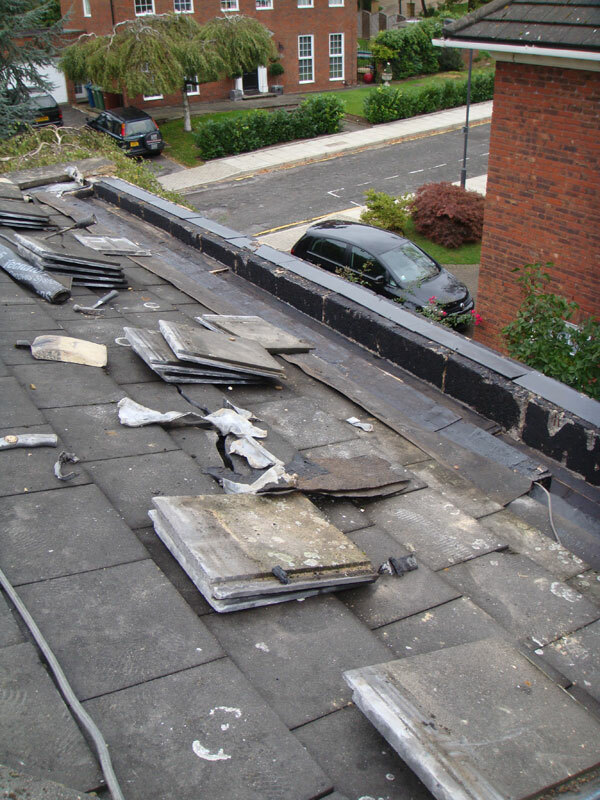 This particular project was overseen by the material manufacturer, a company called Icopal and attracted a 12 year insurance backed guarantee. 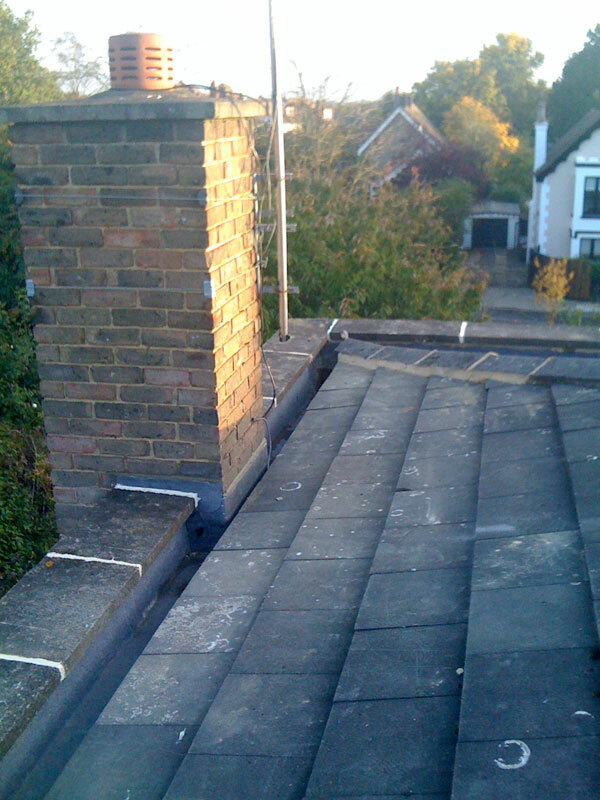 We stripped back the pitched roof tiling and removed the coping stones to gain access to the box gutter. Both the tiles and coping stone where set aside for reuse. We need the new felting to adhere fully to the supporting structure so we applied bitumous primer to all surfaces to help adhere the felting. 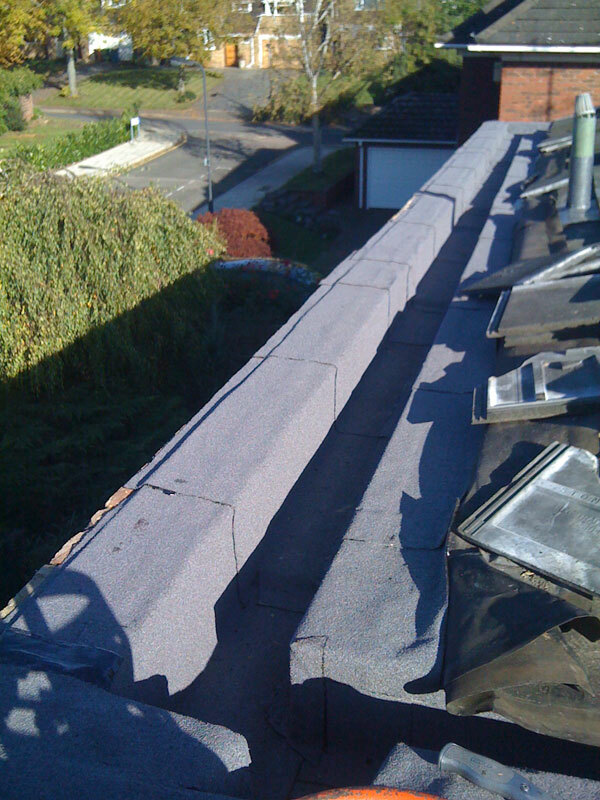 A cavity closer is fitted to the top of the parapet wall to close the cavity in the brickwork. 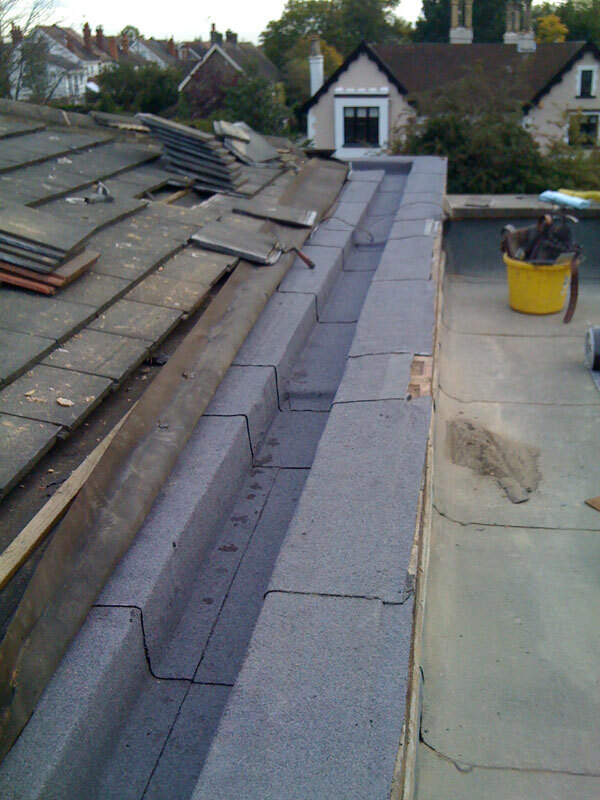 The capsheet extends under the pitched roof tiles and the top of the parapet wall.